Living in Sault Ste. Marie definitely has its perks. From the beautiful history and landmarks in our cities downtown core to the untouched areas in Algoma just outside of the city. For me personally, once the Provincial Parks begin to open in May, I start to plan where I’m going. One of my favourite trips to take is the trek up North on Hwy 17. With the addition of the Moments of Algoma Group of 7 tour and having several Provincial Parks along the Lake Superior Coast all within a days drive. 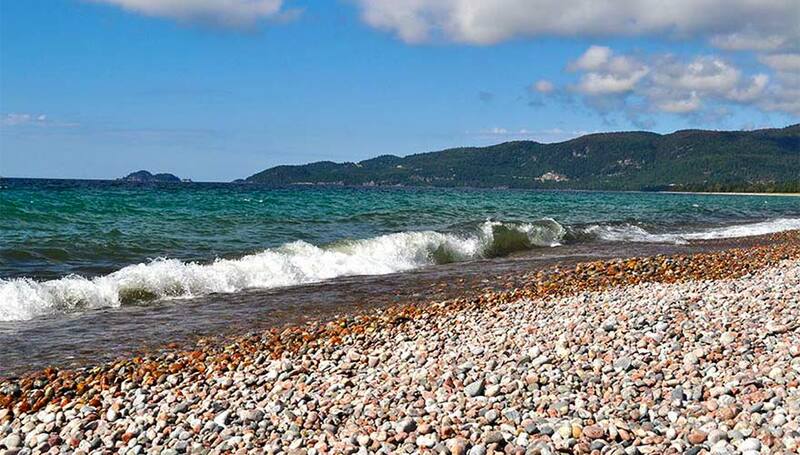 You can experience areas in Algoma that are full of rich history, breathtaking landscapes and relaxing retreats. Whether it’s early spring, mid-summer or late fall. 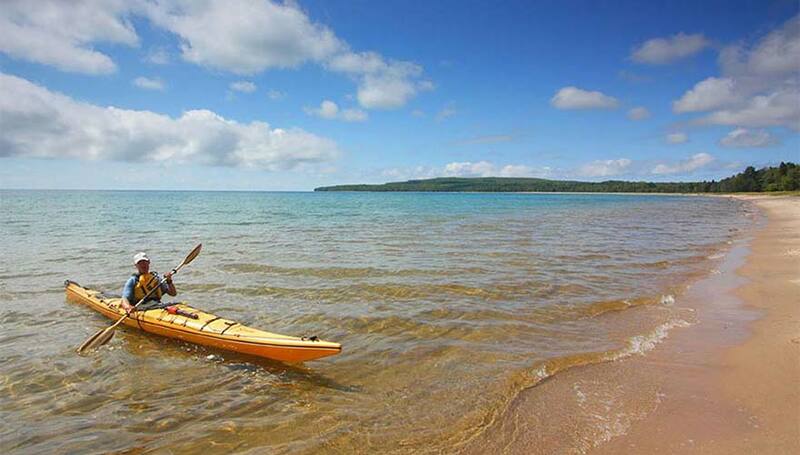 The Provincial Parks along the Superior Coast offer a different experience for each season. *Group of Seven interpretive signs (Chippewa Falls). Traveling north from Sault Ste. Marie is a beautiful journey all in itself. You will pass through some of the most beautiful landscapes and will have panoramic views of Lake Superior along the way. This provides you with the perfect opportunity to stop at Chippewa Falls. Chippewa Falls is located North of Sault Ste. Marie and is a great place to stop and relax, have a picnic or just take it all in. You will find out very quickly what made this site such an inspiration to the Group 7 in Algoma and is a must do on the way to our first provincial park along Hwy 17 North, Batchawana Bay Provincial Park. Located about 40 km from the city of Sault Ste. Marie on Highway 17. Batchawana Bay Provincial Park is situated on the gorgeous Batchawana Bay and the park itself is on an official Indigenous Reserve. 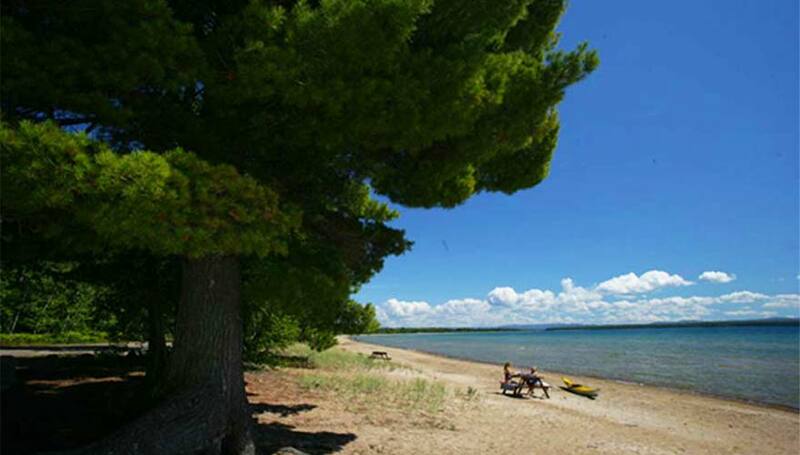 Batchawana Bay Provincial Park is the perfect place to bring your family for the day. This spot is a favourite for locals and offers day-use facilities with everything you’ll need to spend the day on the beach. Although the park itself is considered a “day-park” and does not offer overnight camping, there are some of the most comfortable accommodations close by. Enjoy a resort that reflects the life and times of Canada’s first transport drivers, “The Paddlin’ Voyageurs” and spend the night at The Voyageurs’ Lodge & Cookhouse or experience Authentic Austrian and German cuisine and lodging at the Lake Shore Salzburger Hof Resort. Whichever you choose, it will be the perfect way to relax and end a perfect day full of activities. Located only an additional 11.4 km from Batchawana Bay on Highway 17. 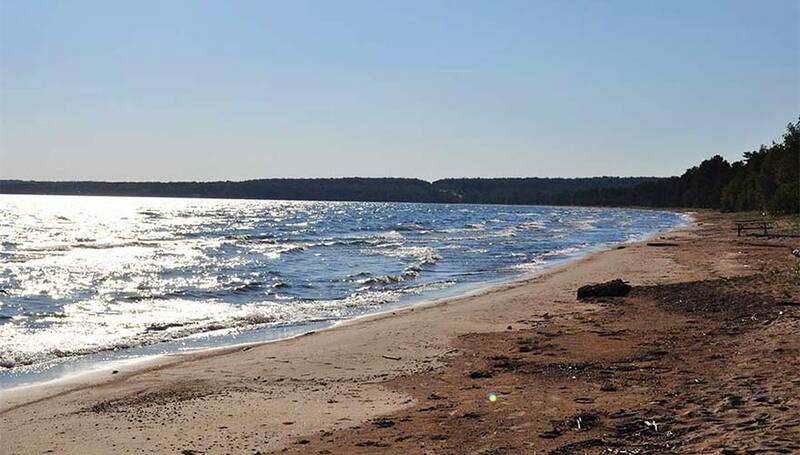 Pancake Bay Provincial Park is situated on the shores of Lake Superior and offers 3 km of superb sand beach, kayaking, interpretive trails including The Lookout Trail. The Lookout provides views of Lake Superior and Great Lakes ships. 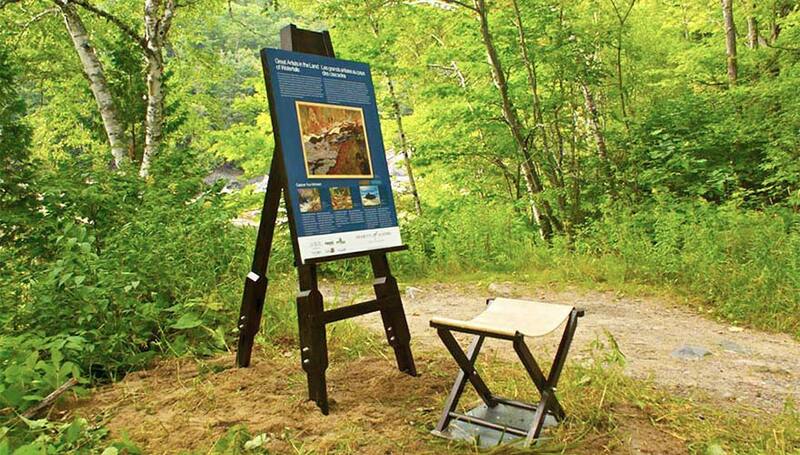 It is also the site of one the Group of Seven interpretive signs. This beautiful sandy bay got its name from the fur trading era, when voyageurs would camp there on their journey from Fort William. Once they reached Pancake Bay, their food supply would be low and would make pancakes for dinner. The next day they would replenish their supplies in Sault Ste. Marie. The Lookout Trail, located across Hwy 17 from the park, provides opportunities to view local wildlife and endless forest. 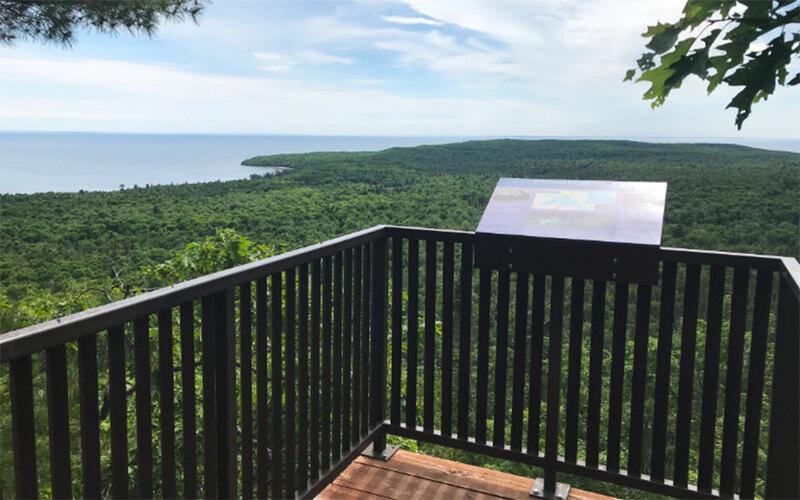 From the Lookout Trail viewing platform, you are able to see across to Whitefish Point. This particular stretch of Lake Superior is known as the “graveyard of the Great Lakes” where the Edmund Fitzgerald sank in the fierce November gale of 1975. 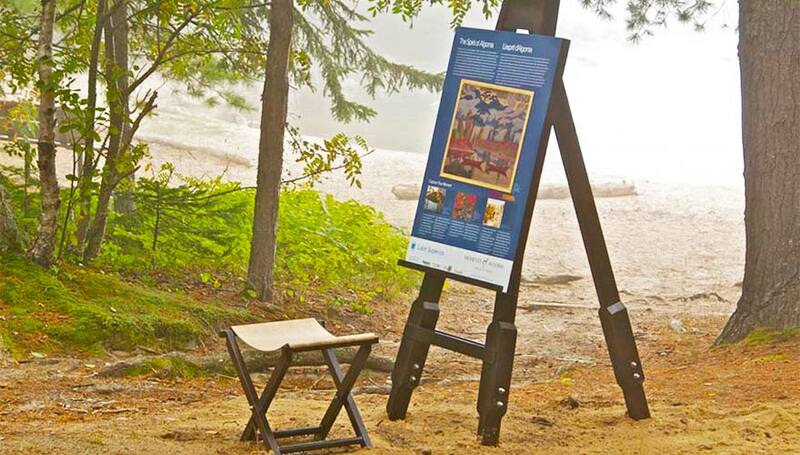 *Group of Seven interpretive sign (Pancake Bay). Located 194 km from the city of Sault Ste. Marie and 118 km from Pancake Bay on Highway 17. 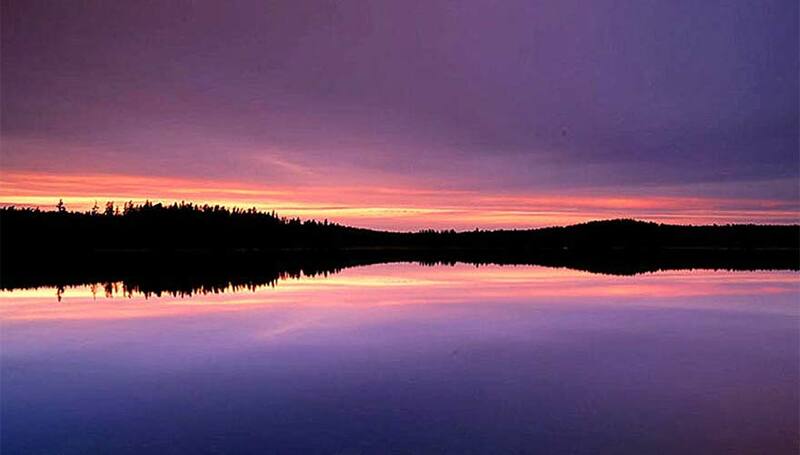 Lake Superior Provincial Park is one destination that cannot be missed! Experience one of the inspirations of Canada’s Group of Seven who painted here over a century ago. 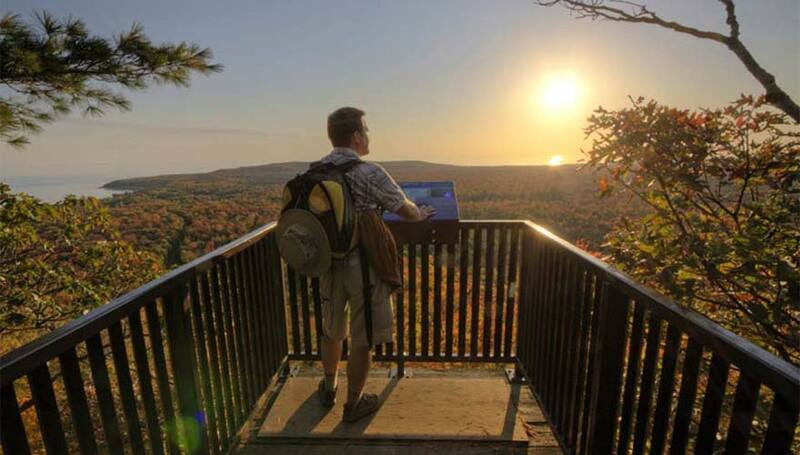 Explore and hike Algoma’s landscape on any of the 11 trails ranging from 1 hour to 7 days. These trails range from beautiful scenic vistas requiring steep climbs to gentle terrains along riverbeds and lakeshores. Experience the park’s most challenging and demanding trail: The Coastal Trail. This trail hugs the lake’s rugged coast through the park, offering breathtaking, unimpeded views of the legendary blue waters of Lake Superior. This being another great opportunity visit 2 Group of Seven interpretive signs (Lake Superior Provincial Park Visitor Centre and Katherine Cove). Canoeists will be able to enjoy the 7 canoe routes ranging from 1 to 5 days. 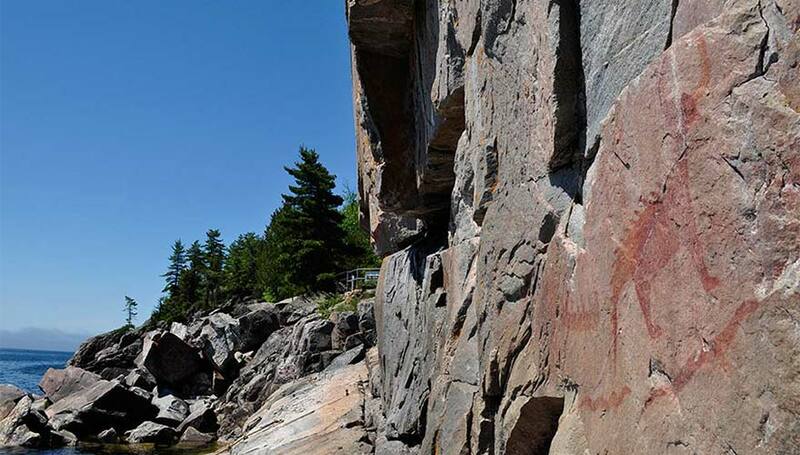 At Agawa Bay, witness the Agawa Rock Pictographs, one of the largest collection of pictographs in Ontario. 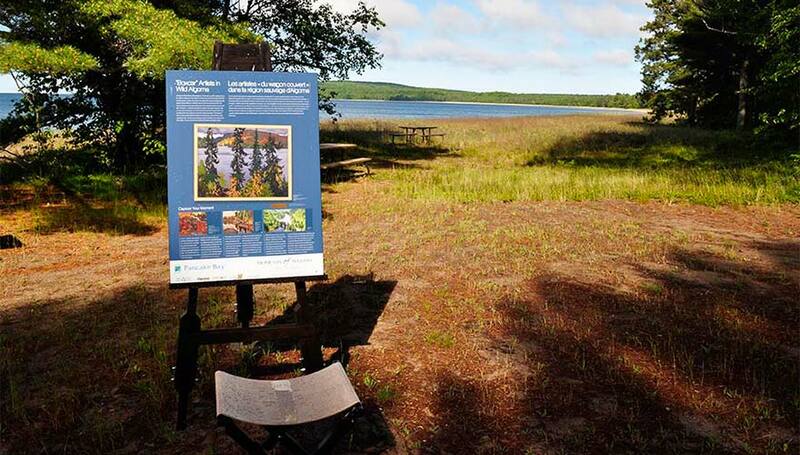 *Group of Seven interpretive signs (Lake Superior Provincial Park Visitor Centre and Katherine Cove). Located 279 km from the city of Sault Ste. Marie and 85.2 km from Lake Superior Provincial Park on Highway 101 East of Wawa. 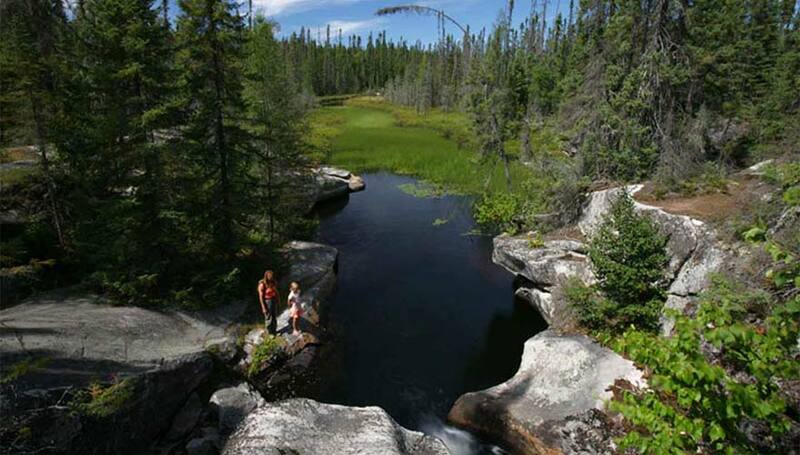 Potholes Provincial Nature Reserve is a remarkable geological site on the Kinniwabi River. 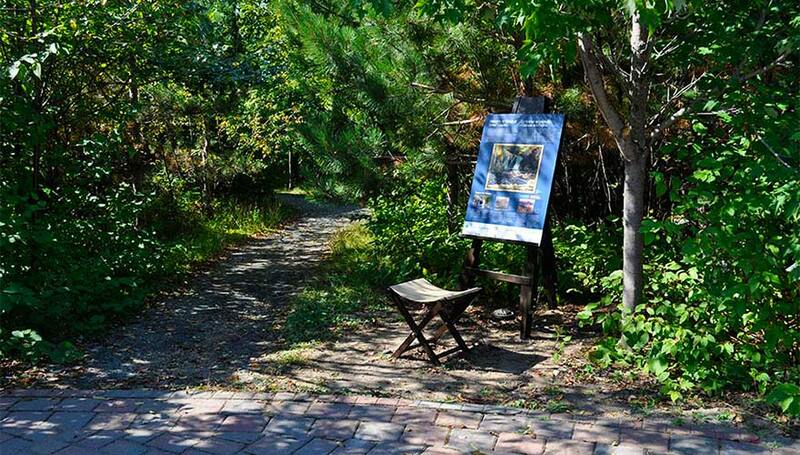 Take a short interpretive walk through a garden-like setting in the Boreal Forest. 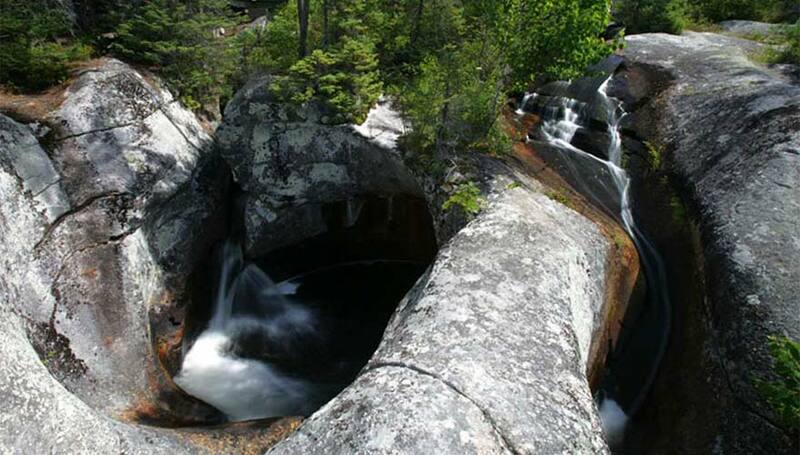 Distinctive “potholes” in the bedrock that were naturally formed by glacial meltwaters 10,000 years ago. Water still flows through these potholes creating a natural wonder that is a must-see. You can stay for a picnic and enjoy the scenery. Then follow a short interpretive trail leading to the potholes, sedges and flowering plants that grow along the riverbank. Campground: 3 Campgrounds and 187 campsites. Located 351 km from the city of Sault Ste. Marie and 181 km from Potholes Provincial Nature Reserve on Highway 17. 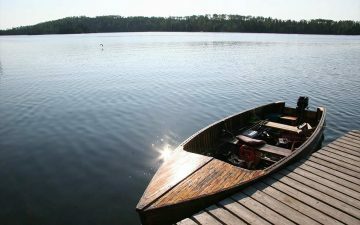 White Lake Provincial Park is a perfect fishing spot for Walleye and Northern Pike, and the park is a great base for exploration. Being an inland park, White Lake offers sandy beaches ideal for swimming. The park is very popular for both travelers and locals. Once a rich source of furs and lumber. Today White Lake offers natural treasures such as orchids and bogs with insect-eating plants. Visitors often experience an abundance of wildlife viewing throughout the park. Wildlife such as moose, fox, porcupine and beaver can all be found here. Bird watching enthusiast can view loons, bald eagles, osprey and great blue herons fishing the waters. Woodpeckers, Owls, ruffed grouse and many songbirds can be found in the forests. 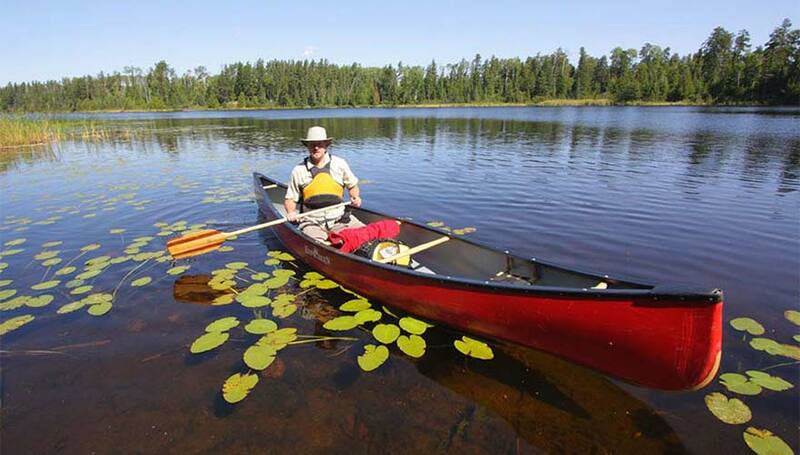 For more information on Provincial Parks in Algoma Country, click here.